Cooking is not something that everyone loves doing, or would have the talent to do. But if you are reading this article, then you are obviously looking for the best carving knife in the market today. If that is the case, then you are probably very passionate about cooking and would probably want to learn as much as you can about it. You are definitely at the right place because here, I will be telling you all about kitchen knives and more importantly, how to find the best carving knife in the market today. People used to say that the stove is your primary kitchen tool. But these days, with so many different ways to cook your food, the kitchen knife is definitely your primary weapon, no pun intended. A good but modestly priced kitchen knife would cost you less than a hundred dollars. This type of knife would definitely last you a few years if you are a regular person who has a passion for cooking. But if you are chef or cooking professionally, the choices are quite outstanding, but we will be talking about that one later. For now, let's go ahead and check your kitchen inventory and see if you have all the basics. This type of knife is intended for a more specialized usage. A carving knife is usually a bit longer than a chef's knife, a great deal narrower than a chef's knife and without the curve that usually characterizes a chef's knife. As the name of this knife suggests, it is mainly used for carving especially for carving roast beefs. The form of the straight blade makes it easier to form very fine and precise slices of meat. A carving knife ought to be razor sharp to provide minimal friction on the meat, permitting you to cut through it very easily. 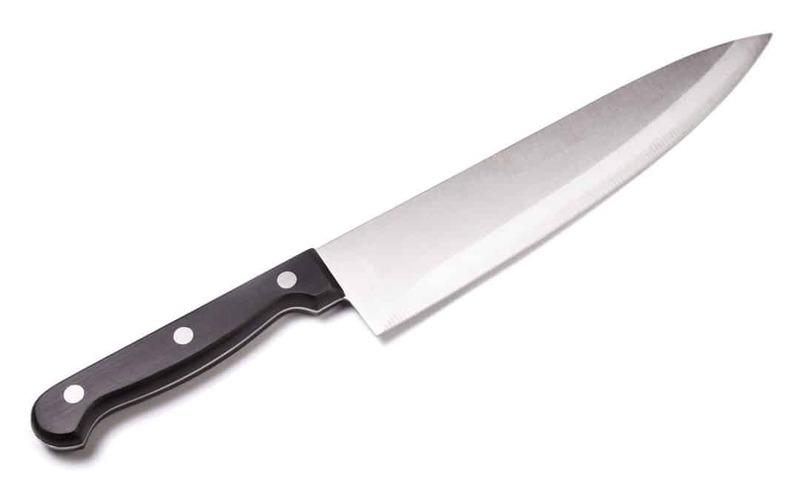 Why You Want A Carving Knife? The spines of the carving knives are usually much thinner, which is a huge factor when creating fine cuts. You notice how you push against the meat when you are trying to cut finely off huge slabs? The carving knife will eliminate this problem since pressing on the meat itself is a huge factor when it comes to creating fine slices. You might be thinking that it really won't be a big deal, but this is where you are wrong. Creating uniform, fine slices makes a lot of difference especially when you start cooking either to impress, or professionally. Uniform slices can also guarantee that every single piece of meat in your dish will taste the same way. These days, you can now also purchases electric carving knives which are, of course, will make your task a lot faster. They are very easy to use but be more careful when handling electric carving knives, they tend to be longer than the traditional ones and anything mechanical with a razor sharpness should keep you alert. You definitely don't want your hands to be the next thing it carves. A chef's knife, also known as a cook's knife, is the most fundamental knife you should have in your kitchen. When it comes to being versatile, this knife is it. It can adapt to basically anything you need to do in the kitchen. You can use it to slice, chop, trim and even carve. If you don't have time, room or money to get a lot of different knives, then at least make sure that you have this one and you should be a lot better off than having any of the other knives. Your cuts and slices may not be as superb as when you use a specialized knife for the task, but it will definitely suffice and tide you over for the next round. It is usually around eight inches in length and has a curved blade. The curve in the blade is usually very useful when you are trying to chop food and this will allow you to rock your knife and chop food without too much force or effort. Keep in mind that this is the most fundamental knife in your kitchen so make sure you are comfortable with both the weight and grip. A utility knife usually goes hand in hand with a chef's knife. It is a much smaller version that can be only half the size of a chef's knife, but it is very efficient for making shallow surface cuts or incisions to create precise holes to put stuffing in, like when you to score a fish or maybe even for stuffing roasts. Pairing knives is also a valuable part of your knife assortments. Though it is much smaller, the handle will have a very nice fit between your thumb and index finger and will give you optimum control. Pairing knives are normally employed in the preparation of fruits and vegetables, since the thinness of the blade makes it easier to alter direction in the middle of a cut. It is designed to peel, to get rid of seeds and stalks, but also to form ornamental shapes into fruit and vegetables for food decoration. A bread﻿﻿ knife features a saw-toothed blade that is just right for cutting up bread and pastries. The saw-toothed blade is long and straight to permit even and precise slicing of bread. It's additionally ideal for slicing soft fruit or vegetables wherever you wish to avoid squashing. 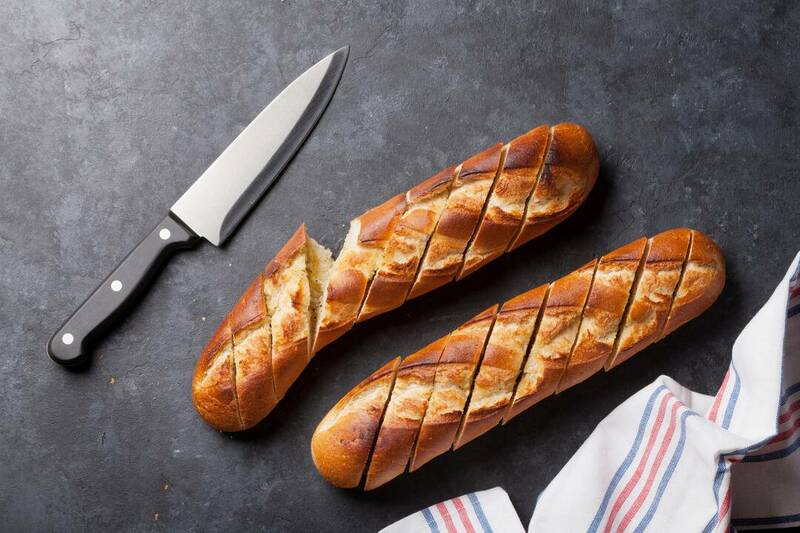 Bread knives and different saw-toothed knives shouldn't typically be used with fish or meat, because the blade will be damaging to the structure of the flesh. You can see more about b﻿﻿est bread knife﻿﻿ ﻿﻿h﻿ere. 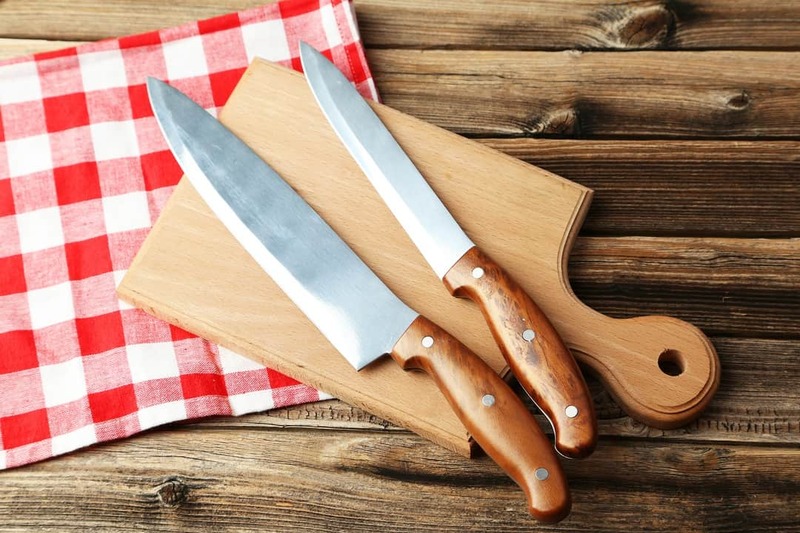 No one would expect you to spend an awful lot of money on kitchen knives, but when you are a renowned cook, hearing about your really expensive knife set can undoubtedly increase the awe factor. Having the best knife in the world would definitely have you saying that your knife is worth far more than the food you are serving. Of course, make sure that your food to par, because it will be such a shame to serve lousy food with any of the knives on this list. Almost decently priced worth several grands. Still not a regular Joe's kind of knife but definitely worth saving for if you are determined to pursue a career in cooking. This Yangai-style knife from Sakai is vastly sharp and additionally a stunning piece of art in itself. It is embellished fantastically, the blade pattern here depicts a painted impression of a full phased moon right over Mountain Fuji, whilst the phoenix has been painted with ancient Fuki Urushi methodology. This is very basic, very affordable carving knife set. For a reasonable price, you will be able to get a knife specifically for carving. A knife block would be useful when you need to store a set of knife in a small space in your kitchen. This 2-pc knife set also comes with a carving fork. It is also made of stainless steel with high carbon. It is also eight inches long with a micro-serrated blades that should never ever need to be sharpened. Thi﻿s is a handmade knife from Japan and are guaranteed to be of top quality. The blade of this knife is double-edged which makes it perfect for not only carving meat but also for slicing vegetables. The stainless steel is made of high carbon and is stain resistant. This knife﻿ ﻿﻿﻿set has a carving fork included in the package. 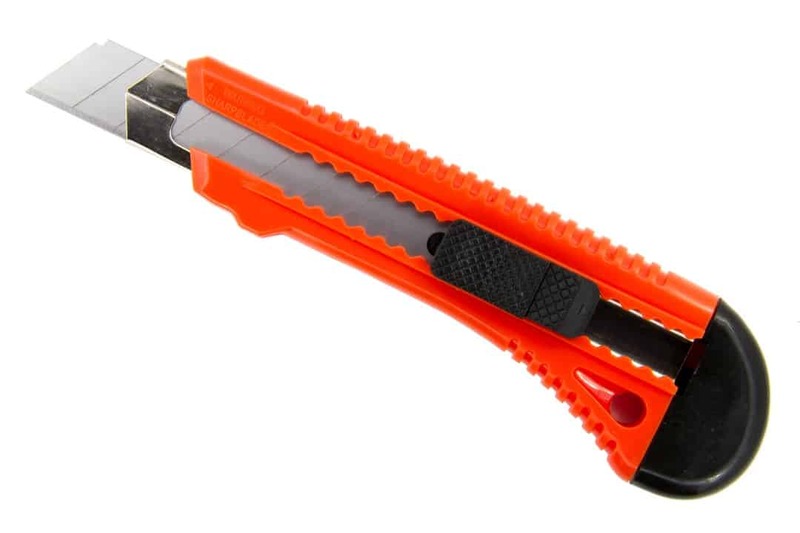 It is eight inches long which makes it very ideal for most of your cutting needs. 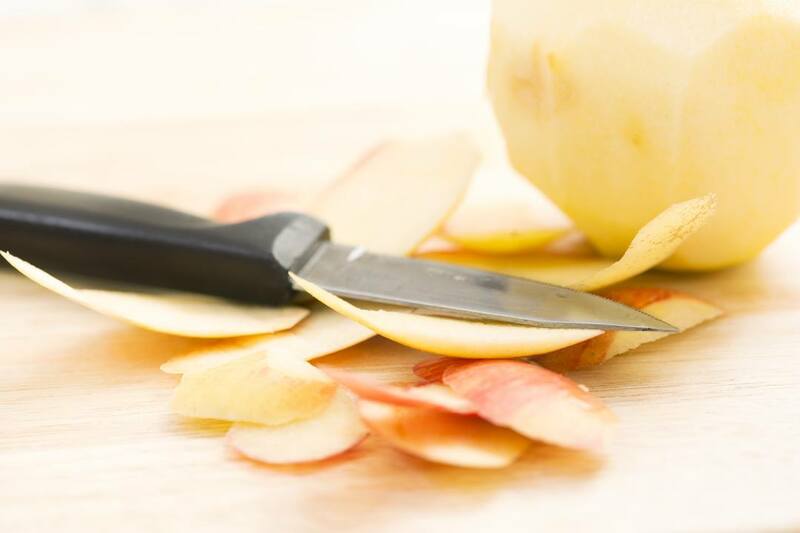 The Culina Two-Piece Carving Knife is our top choice among all the ones that has been reviewed in this article, while all of these knives are awesome, we find that with the warranties, return policy and quality of this knife, it really is the best choice for regular cooking needs. While it may not be the best performer overall, the quality and price is definitely worth it and will more than suffice for your daily needs. Share your comments below if you have tried any of these knives. Happy cooking!